Before I read Wrestling the Angel by Terryl L. Givens I was confused. I could not make sense of what I heard of Mormonism. I knew a few concepts, such as spirit baptism, a theology that was a hybrid of polytheism and atheism, and an ecclesiastic hierarchy that seemed like an imitation of Rome. But I could not place it within the broader Christian tradition, nor identify even a point of divergence of Mormon thought from another Christian branch. I expressed my ignorance to my friend Tanner Greer, who recommended that I read this book. I am glad he did so. 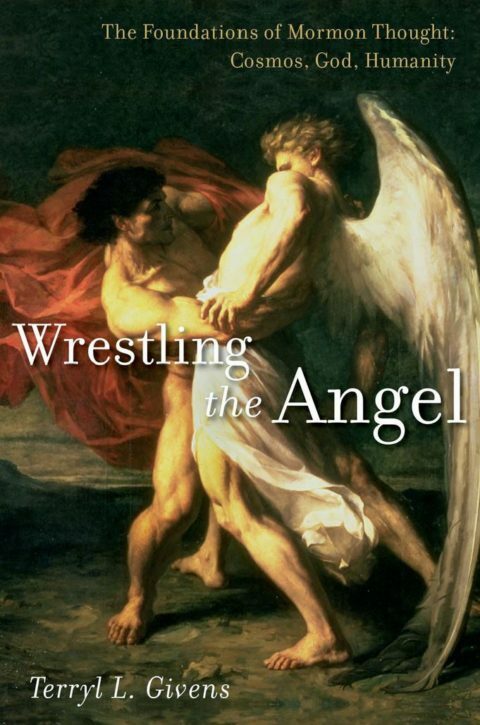 Wrestling the Angel is a terrific book, generally sympathetic to Mormonism and by an author apparently most comfortable with Calvinist terminology. Like Medieval Christianity: A New History, which provided a context for 1,000 years of Catholic thinking, Wrestling the Angel situations Mormonism without the intellectual currents of American Protestantism (and especially American Calvinism) in the 19th century. 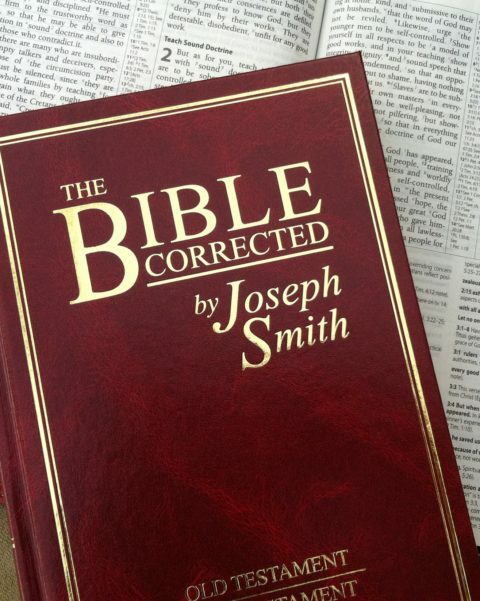 The literary context of Mormonism (such as the View of the Hebrews or the literary significance of the King James Version) are completely ignored. But my most valuable take away was this: cosmologically, Mormonism operates as an extremely old branch of Christianity. Much of the Mormon thought would be much more familiar to the audience of Peter’s Didache than, say, the Confessions of Augustine or the Homilies of Chrysostom. The “Weirdest” parts of Mormon thought are straight forward given the Hebraic outlook of the religion. This is most clear in the Mormon conceptions of creation, God’s literal fatherhood of mankind, theosis, and the nature of heaven. That said, it’s questionable how seriously the Mormon assertion that there is no philosophy or theology of Mormonism can be taken, given it exists within a western context. Mormonism is more Hebraic than even Judaism, because Judaism coherently responded to western philosophy in the 13th century. It is too early to tell how Mormonism will respond to philosophical thought. All other branches of Christianity assert that God created that universe from nothing. Mormonism denies this, asserting instead that God organized the universe from chaos. 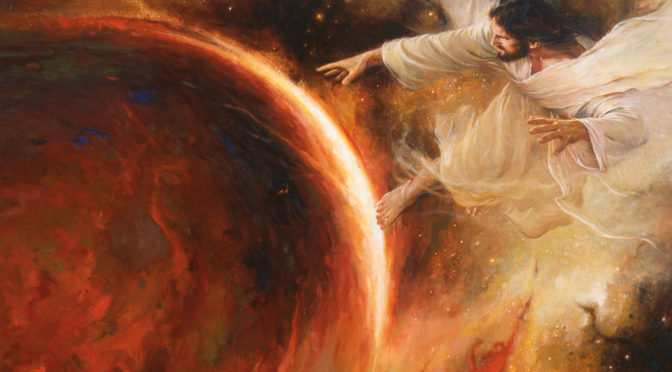 A consequence of Mormon denial of creation from nothing is that the Mormon “God” is not even a “God” – he is just a supernatural alien that has better control of technology that than we do. Yet the Mormon focus on organization is closer to the meaning of the Hebrew Bible. The very first chapter of Genesis probably is a discussion of the universe’s organization. Likewise, the Book of Joshua tells of Canaan’s organization. Western Christians may respond that for the God of Israel to the God of Philosophy, he would have had have created the universe from nothing as well as organized the universe from chaos. This may be the case. But it makes God contingent on the western laws of logic, instead of the Canaanite laws of order. Given its continuity with the Canaanite worldview of the Hebrew Bible, Mormons believe that God is our literal father. This is to say, God the Father is a man. These elements were also present in the stories from ancient Canaan. God’s daughter threatens to cut him open and make him bleed by a lamb. God hosts a drinking party and has a hang-over. He cries tears when Death takes Ba’al, and his male genitalia is as long as the Euphrates. Indeed, as most Christians follow the Athanasian Creed which asserts all persons of the Trinity share attributes with all others, the extent to which God the Father fully participates in God the Son’s incarnation is interesting. But in any case God’s literal fatherhood of man is most surprising to those who hold a stronger form of spirit-body dualism than any writer of the Scriptures apparently held. 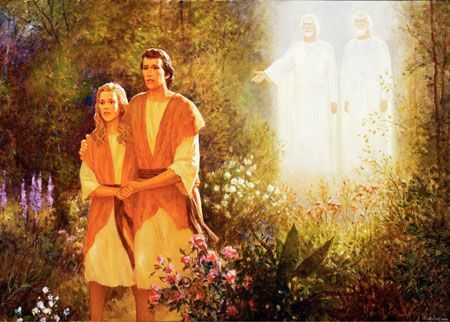 Mormonism teaches that humans can become angels. While this is foreign to Christian angelology, it’s not ridiculous. The 2nd Book of Enoch, written during the Second Temple period, describes Enoch fulfilling the role of an Angel. And indeed “angel” means “Messenger,” thus Mormon references to angel’s can be replaced by the ghosts of souls in heaven given tasks by God. Likewise, Mormonism seems to use Protestant terms but Catholic conceptions of the afterlife. 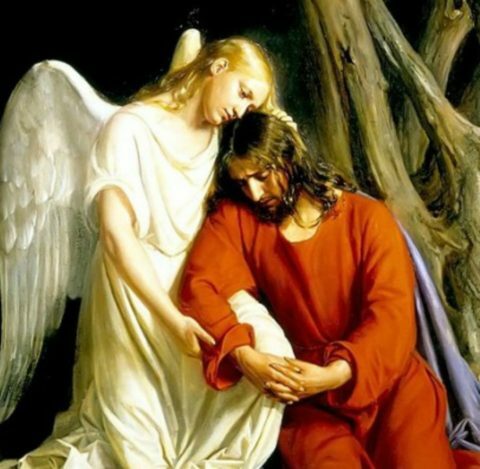 In Catholic terms, virtually all souls spend an extended period of time in purgatory. For those with worse sins it begins as a more painful process, but those with better works it is very pleasant, but in these cases it serves to cleanse and perfect the souls of the dead. Mormonism do have the idea of choices being made in this state that can effect the future, but on the same hand so did the allegory of the afterlife presented by C.S. Lewis in The Great Divorce. I’m perfectly happy to see any conflict here as a result of the impoverished way we think of and talk about time. Yet this view of purgatory — as a place decisions can be made — also helps explain another issue that troubles Christians: the baptism of the dead. The actual acceptance of baptism occurs by the spirit in purgatory (perhaps translated into Catholic terminology as the soul having received grace and the baptism by desire in life). But because Mormonism emerged from mid-19th century Protestantism that recognized only baptism by water, a proxy baptism by water is allowed that, when combined with the spirit’s acceptance of Christ, becomes a canonical baptism. One of the differences between western and eastern Christianity is a difference in focus on how to be faithful. Catholics and Orthodox agree that being faithful to Christ requires imitating him, but Catholics are more likely to emphasize immediate fulfillment of specific commands (feed the hungry, visit the sick, and so on) while Orthodox are more likely to emphasize the use of prayer and meditation to obtain a divine orientation. 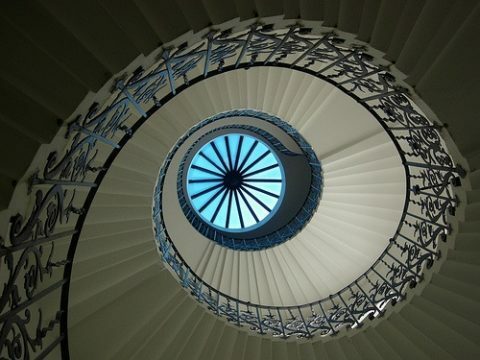 Mormonism is within these traditions, focusing on a rule-based ladder to spiritual betterment (made possible by grace), combined with a future goal of full participation in the divine. This becomes problematic to other Christians when the Mormon rejection of divinity as anything other than very well ordered humanity is taken into accounts. 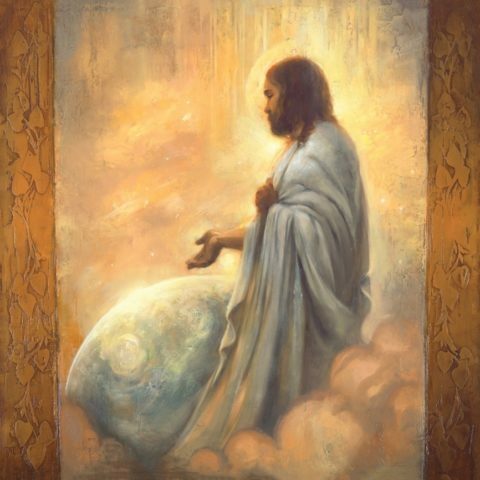 Some people say Mormons are Arians but I don’t see how this can be true — it is not that Mormons believe that Jesus was substantially difference from the Father, but it that they do not believe the Father was substantively different from a cat. There is simply some energy state referred to as “organization” that beings we call divine (God, gods, etc) have more of and others have less of. Perhaps it can be scientifically measured one day. It is basically a western, Greek, philosophical idea of abstract concepts and hidden quantifiable attributes. The Mormon claim of not being philosophical or theological, of not having Creeds or dogma, fall apart here. Perhaps there is some resolution, but if so Terry Givens does not give a hint of one. The crisis around theosis in particular echoes the Judaeo-Christian crisis of the 13th century. The spread of philosophy in Western Europe made both Jews and Christians uncomfortable with an arbitrary or imprisoned God. Catholicism faced this through a new focus on lived imitation of Christ and the Christianization of philosophy (as with St. Francis of Assisi and St. Thomas Aquinas). Judaism suffered a deeper rupture, in the forms of the Nachmanides’s mysical intepretation of the Torah and Maimonides Judaization of philosophys, but even the mystical school adopted the forms and competencies of rational discussion. The Mormon bias against philosophy and theology may delay this reckoning, but it seems unlikely to stop. The empirical evidence seems that philosophical incoherence is not sustainable over the long term — no other branch of the Abrahamic face that I am aware of has maintained this. And Mormonism has a mechanism to allow to it adapt to the culture it exists in: the open canon. Like the Ethiopian Orthodox Church, Mormonism has no mechanism for identifying when Scripture starts and church teachings begin. Some books, like the Mormon King James Version and the Mormon Doctrine and Covenants, change over time. Other well known Mormon works, such as the King Follett discourse, are not part of the canon at all. A similar mechanism, the Holy Tradition, fulfills a similar role in Catholicism or Orthodoxy. The faith in those churches have unfolded over great expanses of time. Mormonism will as well. I began Wrestling the Angel knowing little about Mormon theology or cosmology. I feel I have a grasp of it now, and I thank Tanner for the excellent recommendation. I read Wrestling the Angel in the Audible edition.